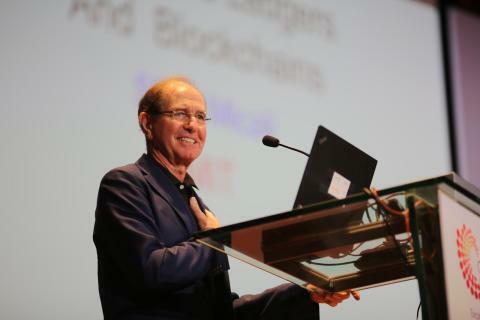 Renowned cryptographer Silvio Micali has developed a blockchain that could revolutionise how people, organisations and institutions make agreements and trade with one another. 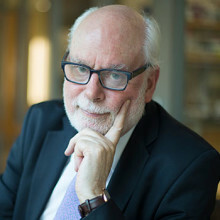 Delivering the opening plenary lecture at the Global Young Scientists Summit (GYSS) 2019 held in Singapore from 20 to 25 Jan, he said that his invention, Algorand, is secure, decentralised and scaleable, enabling it to potentially replace conventional middlemen such as banks in the transactions. The company that he founded to commercialise his invention, also called Algorand, recently received US$62 million (S$84 million) from a global investment group comprising representatives from the venture capital, cryptocurrency and financial services sector. The firm is planning to launch its main network for the blockchain this year. “Blockchains hold great promise for humanity. In the past, we built bridges to allow people from different sides of a river to meet and trade. I believe that permission-less blockchains will be as useful to bridge us as any physical infrastructure. If we choose and construct blockchains in the right way, they will help us for many years to come,” he said. In his lecture, Prof Micali noted that existing blockchains and distributed ledgers can already easily create blocks of data. The challenge is in finding a fast, secure, decentralised and scaleable way to add the blocks to the chain. Algorand uses a modified version of a method called pure proof-of-stake. A user is chosen from all of the system’s participants to propose, sign and propagate a new data block. The selection is done randomly, although each user’s probability of being chosen is proportionate to the amount of money he or she has in the system. After the new block is proposed, separate committees of other users are again randomly appointed in the same way, to carry out the remaining steps needed to verify the block and add it to the chain. 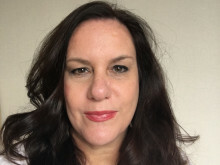 All of the chosen members’ public keys and actions are revealed at the same time, so that bad actors within the system do not have time to corrupt them, Prof Micali said. Furthermore, since the system works by agreement, it will be secure as long as the majority of its users are honest. “Even if a significant proportion of the users are thieves, as long as they are in the minority, the odds that they will be able to influence all of the steps are infinitesimal,” he said. The block proposer and committee members also only need to send short messages across the system to execute their roles, so even users with limited computational resources can participate. “This makes the Algorand protocol truly decentralised, unlike, say, Bitcoin where you need huge computational resources to solve cryptographic puzzles,” Prof Micali said. The minimal requirements also make the system easily scaleable. In an interview ahead of GYSS 2019, he said that the recent funding will be used to expand the company’s team of business professionals, engineers, scientists, researchers and other employees. 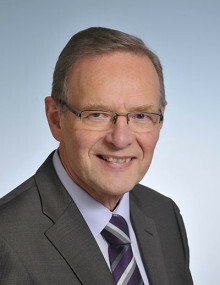 “I have been interested and working in cryptography since the early 1980s. When I was a doctoral student at the University of California, Berkeley, I started down the path that led me to co-invent interactive proofs, computationally-sound proofs and zero-knowledge proofs. I also started working on distributed computation,” he said. “In the past few years, I have also been delving into mechanism design, a classical branch of game theory that deals with engineering incentives to achieve desired social goals. These scientific interests were perfectly aligned for working on blockchains, which span cryptography, distributed computation and incentives,” Prof Micali noted. He said that Algorand will focus on businesses initially. “We want even companies with limited blockchain experience to be able to transition their processes and legacy infrastructure to our blockchain, so we have created a suite of simplified tools, ready-to-use templates and application programming interfaces,” he said. Prof Micali said that he was spurred to throw his hat into the blockchain ring because of the widely held belief that no blockchain could achieve security, decentralisation and scaleability. “I tend to gravitate towards supposedly impossible things. Blockchain as it was intended was always going to be a very sophisticated technological construct. It only needed more and better technology to be realised,” he said. His penchant for scientific swerves is also why he chose to attend the GYSS 2019. The annual event, organised by Singapore’s National Research Foundation, brings together eminent scientists and young researchers from around the world to give them the opportunity to interact with one another. Prior to publication, it must be approved by PINPOINT PR . 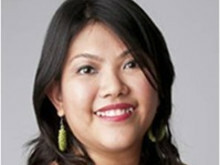 Illka Gobius is the principal consultant and Managing Director of PINPOINT PR Pte Ltd. She is responsible for all relations, strategy, execution and client account management of the agency.